Streetlights are a ubiquitous feature of the city landscape, which makes them natural jumping-off points for wireless “smart city” networks. But there are significant differences between software that controls streetlights and software that can support networked traffic lights, parking meters, pollution sensors, and the rest of the internet-connected devices that make up the smart city vision. On Monday, Silver Spring Networks rolled out its latest version of software meant to fill in these gaps. It’s the latest move by a smart grid contender turned smart streetlight vendor to build on its natural strength -- lots of connected endpoints -- with a host of new services and applications interfaces to put them to use for a city’s diverse needs. In Silver Spring’s case, those new features include improved asset and work order management support, to put to use the network’s data about which lights and other devices are burned out, malfunctioning, in need of maintenance, or otherwise calling out for human attention. The Redwood City, Calif.-based company promises advanced analytics to better predict and diagnose system problems, along with linkages to collect customer complaint calls and social media data to aid in that task. 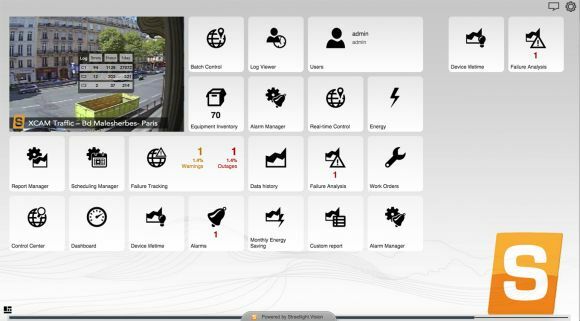 Underlying this back-end functionality, the Streetlight.Vision 6 platform -- the latest version of software from Streetlight.Vision, the lighting controls vendor Silver Spring acquired last year -- embeds support for more than 50 different networked lighting vendor technologies, building off the standards work of the TALQ Consortium industry group. It’s also integrating protocols for talking to traffic cameras, parking kiosks, environmental sensors, and of course, the smart electric, gas and water meters that are Silver Spring’s bread-and-butter business. There’s also a new user-configurable interface, and improvements to integration with existing business-process platforms such as customer billing and geographic information systems. 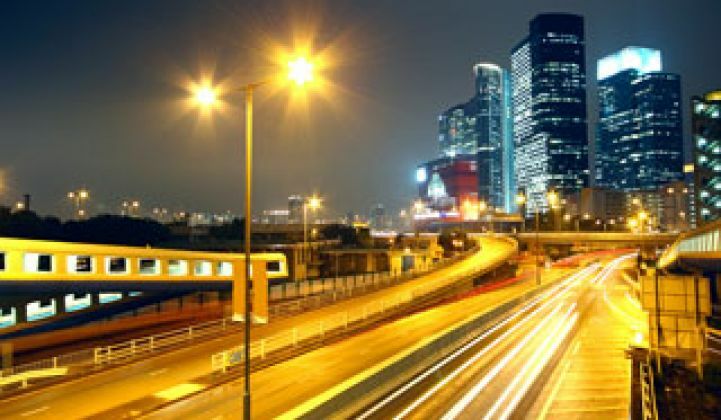 And finally, “What we’re really excited about is opening an apps store, not just for streetlight management, but for broader smart-city applications,” Brandon Davito, vice president of smart cities and streetlights, said in a Monday interview. Much of this functionality is available from other big players in the smart-city space, including some IT heavyweights such as IBM, Microsoft and Cisco. But for a market that’s still in its infancy, Silver Spring is betting that cities will save time and money building these capabilities on top of the device network they have, rather than putting together a suite of back-end software platforms to support a smart-city device landscape that’s not there yet. Silver Spring isn’t the only company working to build on its existing fleets of networked devices to colonize the world of smart-city integration and control. Big smart-meter rivals such as Itron and Sensus are working on similar approaches, with smart streetlights being an obvious first step. Specifically, there’s a strong business case for networking LED streetlights, which already save big money on energy and maintenance costs compared to the lights they replace. Silver Spring does have some of the biggest networked streetlight networks out there, including existing smart meter customers like Florida Power & Light and Commonwealth Edison. It’s also doing standalone streetlight projects for European cities including Paris, Glasgow and Copenhagen. In addition, it’s partnering with existing networked lighting heavyweights, such as Acuity Brands, which on Monday announced it would collaborate with Silver Spring on smart city, utility and campus lighting projects.